Geotechnical investigation for the development and construction of New Rail Link between Sagar Island and Kakdwip in West Bengal. The development and construction of New Road – Rail Link between Sagar Island and Kakdwip in West Bengal through an Over Bridge across the Muriganga River have been proposed by the government. 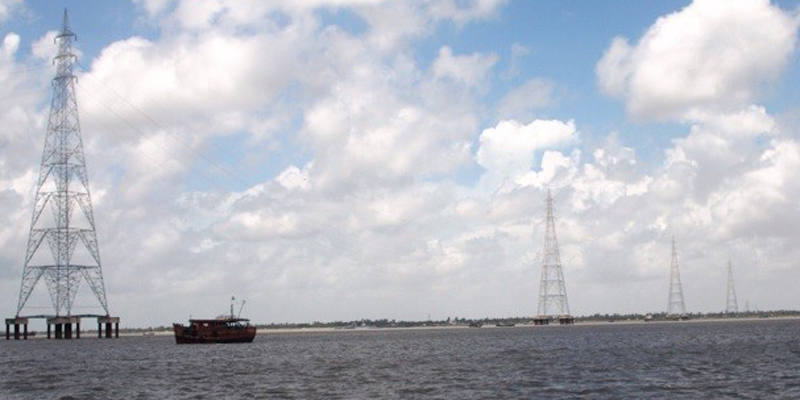 Sagar Island is located nearly 150 km downstream of Kolkata. Now, people planning to visit the island have to travel nearly 90 km by road to Harwood Point in Kakdwip and cross the Muriganga river by ferry. Vehicles are taken across the river in barges but the movement of vessels is governed by tides. This bridge will not only facilitate a deep-drafted port that the ministry of shipping is planning somewhere near the southern tip of Sagar island, it will also spur all-round development of the same. At present, Sagar has to do without electricity. Road connectivity between various parts of the nearly 32 km long island is extremely poor. This bridge will eliminate the problem of communication in the island and provide easy access to the inhabitants. For the construction and development, detailed geotechnical investigation was necessary and CETEST, Kolkata was contacted. Carrying out boring work at a depth of 80 m is challenging as it includes under water boring work in River Muriganga with tidal variation. CETEST’s qualified engineers and supervisors worked relentlessly to make this project a success. It is suggested to adopt deep foundation in the form of both Pile and Well foundation for this site.